The Global Teenager Project was initiated by IICD in The Hague in 1998 and has since connected 1000’s of schools globally and served over 250.000 students in their global learning adventures. The engine behind the Global Teenager Project is the ‘Learning Circle’, a proven concept created by Dr. Margaret Riel (USA). Learning Circles are virtual environments for intercultural exchange and learning. Twice a year, under professional facilitation, groups of 8 to 12 classes from all over the world form a Learning Circle by linking up via Wiki and Web 2.0 tools. 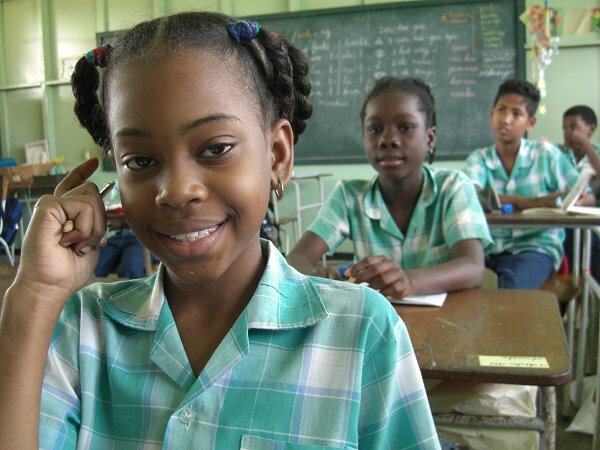 The Learning Circles are conducted in English, French, Spanish, German, Dutch, Slovenian, Ukrainian, Papiamentu and Arabic. In several countries national or regional Learning Circles are developed in local languages and even the ministry of Slovenia has identified the concept of Learning Circles as such a valuable methodology that we are now in process of training all schools in Slovenia to anchor Learning Circle driven learning in the classroom. The classes select a theme from a shortlist of topics such as health, gender equality, environment, human rights, MDG’s global citizenship, united beyond our deversity or simply ‘my life’. For the next 10 weeks the pupils in each Learning Circle communicate via email or wikis on that one topic, using a structured six phase method. On our website www.globalteenager.org these phases are explained in detail. Although the Global Teenager Project initially started as a project designed just for high school students, the project has now been expanded and includes children of all abilities including Gifted & Talented and SEN. Age groups from 9-12, 12-15 and 15-18 offer a place to learn for all. Why do we offer GTP? We believe in bringing people together and thereby raising cultural awareness towards a generation of better understanding. Learning Circles offer hands-on learning for critical thinkers in the 21st Century, based upon the 4 pillars of Unesco: Learning to know, learning to do, learning to be and learning to live together. Though we strongly believe in ownership of learning by students, the teacher still plays a key, though changing role in the learning process. The Global Teenager Project offers an online Learning Circle Methodology Course that addresses teachers and future teachers interested in developing solid understanding of the Learning Circle methodology in order to participate successfully with their students in Learning Circles. Once mastered the full depth of the Learning Circles, GTP offers a rich and dynamic international learning environment network where students work and learn together with more than 20.000 students in 40+ countries. GTP literally brings the world into a classroom. Until 2011 the Global Teenager Project was fully funded by IICD and we have set partnerships with iEARN International, the British Council and Plan International. Due to political changes in The Netherlands and the global economical crisis, GTP has lost its main funding. To sustain Global Teenager Project’s activities the Global Teenager Foundation was established as a non-for-profit NGO in May 2011. The board of trustees represent 7 of the 42 active countries in Global Teenager Project and covers 5 continents; as reflection of the global dimension of Global Teenager Project. The current focus of GTP is to enhance the quality of the LC, innovate and ensure a sustainable support infrastructure. This is a multi-level partnership coupled with an internal review of structure and processes with the Critical Thinking Consortium, Peer Scholar, Research institutions and local communities. Critical Thinking: The aim of the partnership with the Ontario Institute of Studies in Education (OISE) in Toronto Canada is to research how, through improved questioning and specific thinking skill strategies; we can improve the learning for students in the Learning Circle. The research is lead by Garfield Gini- Newman, senior lecturer at OISE and a consultant with The Critical Thinking Consortium (TC2) in Canada. Through the six-phase process of introductions, questions, research, analysis and summaries, we will weave in the critical thinking skills so that teachers can apply those skills as part the Learning Circles phases with their classroom. The process is conducted transparently and the outcomes will be available for all teachers to apply in their future learning circle engagement. Peer Scholar: The aim of our partnership with “Peer Scholar” is to offer educators the opportunity to engage their students in peer review and reflections at the summary and reflective phase of the Learning Circle process. Peer-assessment is a process whereby students grade the work of their peers rather than relying on an expert. Research demonstrates that the process will give learners the opportunity to delve into deeper learning; it promotes the sort of critical and creative learning that is challenging to promote and evaluate. GTP is working hard to ensure that quality learning results from the Learning Circle process. This starts with an internal training of GTP Learning Circle facilitators and in-country support by country coordinators who provide teacher training. Classes are grouped in small numbers allowing participants to engage in a more meaningful exchange. This year, GTP will be offering webinars and online training using Skype and other tools. A dedicated wiki groups a wealth of Web 2.0 tools to support learners and teachers at each phase of the Learning Circle. Such tools help teachers innovate and promote students’ engagement and transparency in sharing learning outcomes. GTP has taken the lead towards education for all offering inclusive Learning Circles. Such learning experiences are validated by the overwhelming enthusiasm of special needs educators who are enables to integrate multi-levels in a classroom working towards a more cohesive and understanding society. C’est un plaisir pour moi d’apprendre que les néerlandais débuteront la formation du GTP très bientôt. Je leur presente au nom de GTP-Niger mes encouragements et leur souhaite plein succès. On behalf of GTP Ghana, we extend to you our warm greetings! We hope the workshop will expose the teachers to new ideas of learning virtually. We hope to work with you in course of the September Learning Circle. Je vous transmet les salutations de GTP Burkina Faso et souhaite plein succès à votre atelier. Je souhaite et espère rencontrer beaucoup d’entre vous dans les cercle d’apprentissage en français. All Ukranian GTP participants send you a warm greetings with introduction GTP workshop. It’s wonderful to have new members of our Global village. Hope to meet with all of you online during September Learning Circle. Teachers and pupils German GTP, from Latinamerica and especially from Argentina we send to them greetings and give the welcome to GTP Family. We hope that next year you could take part of the Spanish Learnig Circle. Wellcome in our global family. Macedonian colleagues wish you successful Learning Circles. Warmly welcome to our new colleagues! Romanian participants wish you successful Learning Circles. It`s nice to know that our project is growing and becoming richer in terms of languages, countries and content.We, teachers in Latvia, wish you an interesting day on Thursday and fruitful project work this semester. On behalf of GTP Madagascar I send you the warmest greetings from your malagasy colleagues. We wish you a very successful workshop. Looking forward to meeting you during the next french, english and german LC. From the Spanish Circles we wish them successes. We greet and give the welcome to the Global family. Desde los círculos españoles les deseamos éxitos. Saludamos y damos la bienvenida a la familia Global. Deseamos encontrar a todos ustedes en algún Circulo de Aprendizaje en Español. De tijd nodig voor het proces van Verwerven, Valideren, Verwerken en Verstrekken van informatie met de werkvorm Learning Circle kan natuurlijk zelf ingedeeld worden. Het voorbeeld hieronder beschrijft een Learning Circle van 10 weken. Technische voorbereiding, account, e-mail adres etc. In deze periode worden door elke klas alle gestelde leervragen van de andere klassen betantwoord. Dit vraagt om onderzoek van bronnen, interviews, gesprekken etc. Het antwoorden gebeurt vanuit de eigen woon/leefomgeving en cultuur. De antwoorden worden via e-mail verstuurd of on-line gepost. In deze periode maken de leerlingen een samenvatting waarin ze verslag doen van het proces, de vragen en de antwoorden. Het is een prima moment voor reflectie op het eigen leren. Onder andere met behulp van de websitemaker kunnen leerlingen eenvoudig een website maken om de samenvatting on-line te presenteren. Tijd om afscheid van elkaar te nemen. De leerlingen sluiten de Learning Circle af door het schrijven van een gezamenlijk een afscheidsbrief aan de andere scholen. Leerlingen en de docent vullen het evaluatieformulier in. De Learning Circle sluit. The time frame for a full Learning Circle can be adapted by the designer of the LC. Introduction workshop, teachers prepare their students for participation in the LC. Discussion of responsibilities, skills, knowledge, awareness. Opening of the Learning Circle. Teacher and students introduce themselves by sending a Class and Teacher letter and a class picture on the website. Each class formulates a question on their Learning Circle Theme. Each class responds to all the questions from the other classes in the Circle that have been sent within the specified timeline. Review of answers received, reflection on learning process. Summarise and draw conclusions; write and send summary to partner schools in LC. Fill in Evaluation and send goodbye message to the Circle partners; the Learning Circle closes. Der Zeitplan kann vom Moderator des Learning Circle angepasst werden. Kennisnet und ICT&E bieten 5-,6-,8-,10- und 12-wöchige Learning Circle an und geben Hilfestellung. Einleitung Workshop, Lehrer(Innen) bereiten ihre Schüler(Innen) auf Teilnahme LC vor. Wohnumgebung und Kultur. Die Antworten werden per E-mail geschickt oder ‘on-line’ gestellt. In dieser Periode schreiben die Schüler(Innen) eine Zusammenfassung über Prozess, Fragen und Antworten. Dies ist eine gute Gelegenheit für Reflexion auf den eigenen Lernprozess. Mit der Hilfe vom ‘Websitemaker’ machen die Schüler(Innen) eine ‘Website’ worauf sie Ihre Zusammenfassung präsentieren. Zeit zum Abschiednehmen. Die Schüler(Innen) schliessen den ‘Learning Circle’ ab, indem sie gemeinsam den anderen Schulen einen Abschiedsbrief schreiben. Schüler(Innen) und Lehrer(Innen) füllen ein Evaluationsformular aus. Der ‘Learning Circle’ schliesst. Test du bon fonctionnement du courrier électronique et de la procédure d’identification pour l’accès à la Classe Virtuelle. Les professeurs préparent leurs élèves à la participation au Cercle. Ceci comprend des discussions concernant les responsabilités, les compétences, la connaissance, et la prise de conscience. Le professeur et les élèves se présentent en envoyant une lettre du professeur et de la classe ainsi qu’une photo de la classe sur le site Internet. Chaque classe formule une question au sujet du thème du Cercle d’Apprentissage. Chaque classe répond à toutes les questions posées par les autres classes dans le “Cercle d’Apprentissage” et envoyées durant le délai spécifié. Révision des réponses reçues, réflexion sur le processus d’apprentissage. Résumer et tirer des conclusions; écrire et envoyer le résumé aux écoles partenaires. Remplir l’évaluation et envoyer un message d’adieu aux partenaires du Cercle. Le “Cercle d’Apprentissage” ferme ses portes. El diseñador del LC puede apropiar un plan de tiempo para un círculo de aprendizaje completo. Controlar el correo electrónico y el login (consigna) Virtual Classroom. Taller de introducción: Los profesores preparan a sus estudiantes para su participacíon en el círculo de aprendizaje (LC). Discusión de responsibilidades, talentos, conocimientos y entendimiento. Empiezo del círculo de aprendizaje (LC). Los profesores y estudiantes se presentan a la clase, enviando una carta y una imágen y poniéndolas en el website. Cada clase formula una pregunta alrededor del tema del círculo de aprendizaje (LC). Cada clase reacciona a todas las preguntas de las otras clases en el círculo, enviadas en la línea de tiempo especificada. Se critica las respuestas recibidas y reflexión del proceso de aprendizaje. También se resume y se saca la conclusión. Además se escribe y se envia un resumen a otra escuela en el círculo de aprendizaje (LC). Se completa el formulario de evalución y se manda un mensaje de despedida a los demás compañeros del círculo. Se concluye el círculo de aprendizaje (LC). The annual Johan Kooij Fellowship Network Event hosted by the Global Teenager Project represents the one opportunity where its coordinators and facilitators from all over the world can meet face to face to exchange ideas, share thoughts and discuss plans for the future.